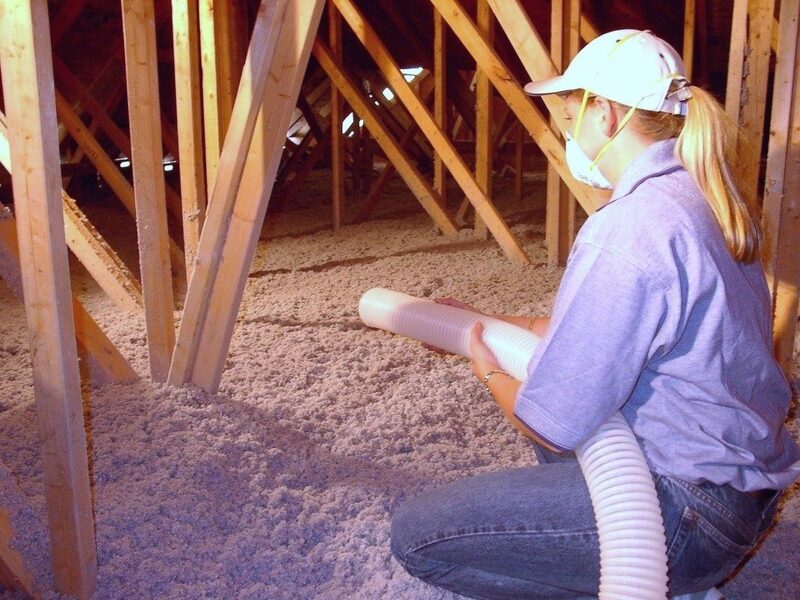 Insulation specialists Pricewise Insulation explains the cost of ceiling insulation materials. 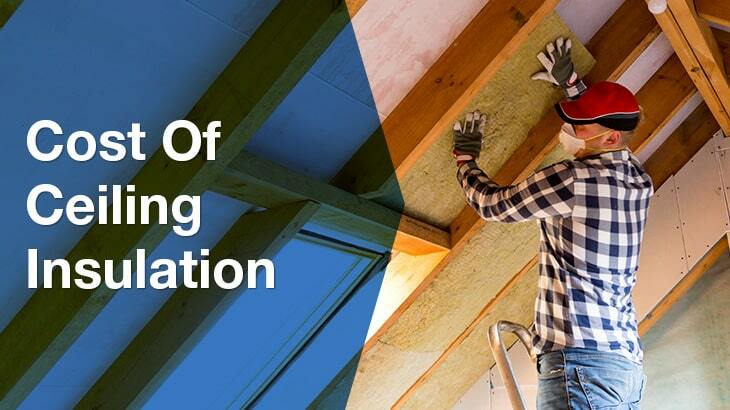 For an ordinary 100m2 existing ceiling with reasonable access, and no significant extra obstructions, installed with standard R3.5 glass-wool insulation, you can expect to pay close to $550 for the insulation itself, and a similar fee for the installation work. This works out to $11/m2 on a 100m2 ceiling. Increasing the R-Value, or upgrading from a glass-wool to a polyester based product such as Autex GreenStuf – will increase the cost of the materials by up to double, and may also slightly increase the installation fee, since thicker insulation is harder to cut and more bags are required to be transported and handled. If you opt for a lower R-value, or if the ceiling is very large, you might find a reputable company willing and able to do the job for a lower m2 rate than the initial estimate provided in the example above. Generally the fee for a supply and install will be calculated on the materials required, and the installation – which will include things such as delivery of materials to side, clean-up and removal of any leftover materials, and of course the necessary insurances such as Workers Compensation and Public Liability. Without ceiling insulation, the average Aussie home will tend to overheat in summer, and the electricity bills will rise in proportion to the extra load on the air-conditioning appliances. The solution to all this is of course ceiling insulation – a thick layer of glass-wool, polyester or a similar material. Insulation materials contain millions of tiny air-pockets, which are very effective at slowing down the heat transfer. The effects are noticeable immediately, and over the course of a few years, ceiling insulation will translate into significant reductions in heating and cooling bills. How will the installers access your roof area, and will there be space to carry the unopened bags of insulation up through the ceiling manhole? Is there standing room or only crawling room? Are there any major obstructions in the roof space? While it’s rare for insulation installers to charge hourly rates for their work, you can be sure the quoted price will take into account any extra hazards or complications which can be foreseen from the outset. Installing insulation in a ceiling is in itself quite physical work, in what can often be a hot, dirty and cramped environment. Any factors which will make a difficult job even more difficult, will be likely to increase the total cost of the job. 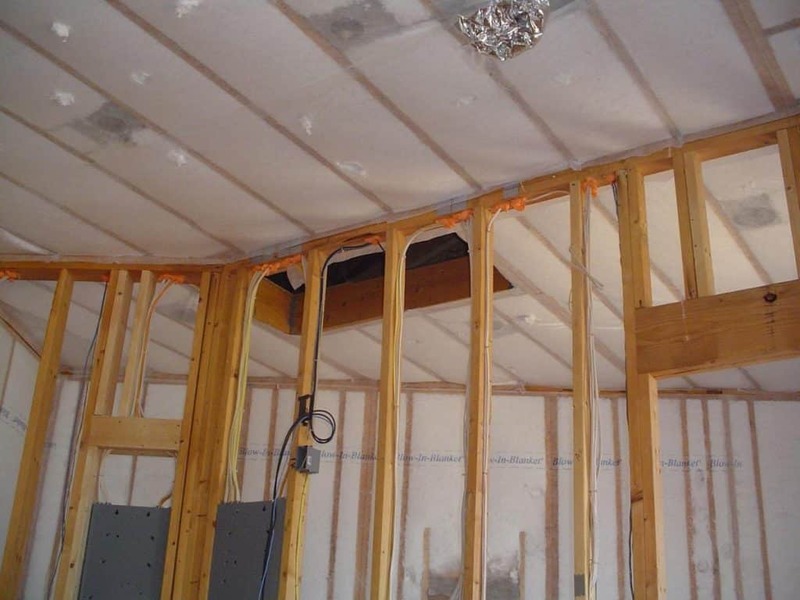 Installing ceiling insulation in an air-conditioned home, where there previously has been no insulation installed, can reduce energy costs by up to 40%. So by adding up a years’ worth of electricity bills, it shouldn’t be too difficult to estimate how long it will take for your energy cost savings to exceed your investment in insulation.